Antraxx is a massively multiplayer mech shooter with a heavy emphasis on teamwork and replayability with completely customizable mechs and zones. Boasting multiple game modes and in-depth faction politics and economy systems, allowing you to play the game how you wish. 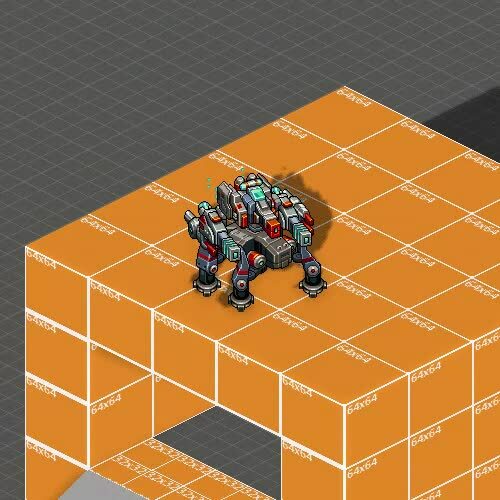 The goal is to create a next-generation isometric game with a completely 3D engine rendering hand-drawn pixel art with dynamic lighting, shadows, positional audio and a refined control scheme. You are also able to create your own zones to share and battle in, providing near limitless sandbox gameplay. While still keeping true to games that inspired us to become game developers it aims to be an immersive, limitless, fun and a creative multiplayer game and is currently in development for web and tablet devices. Love it! Great job so far! The mech seems really fast and responsive. Can't wait to see more. Keep up the hard work. New tech preview for our upcoming tech demo that will be released around the end of march 2018.